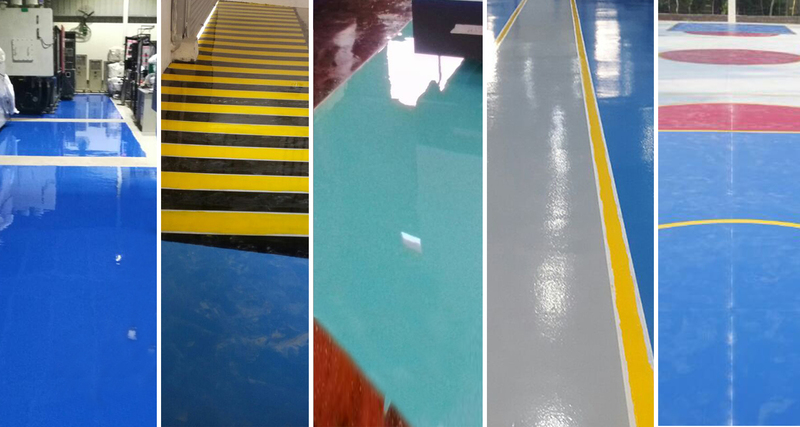 Offering you a complete choice of products which include acrylic cement modifier, concrete curing compound, crack filler, rapid leak plugging compound, epoxy bonding agent and sbr acrylic bonding agent. 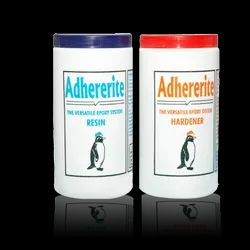 We offer Adhere Crete (Acrylic Cement Modifier). 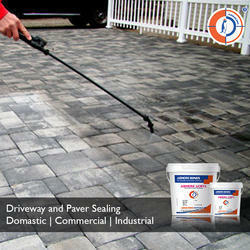 Acrylic based co-polymer specifically designed with cement composition. When combined with cement, improves properties such as bonding with various substrates, flexural and comprehensive strength. It also enhances chemical resistance and weather resistance. Wax based concrete curing compound which when applied on concrete forms a seamless film and prevent the evaporation of water from the capillaries of concrete. 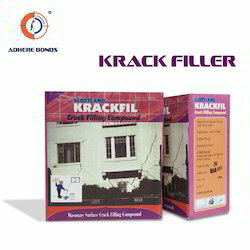 Adhere kf Polymer Modified Cementitious Crack Filler Filling Agent is a specially formulated non-shrink polymeric cementitious material to be used for filling unsightly cracks in concrete, masonry and surfaces. 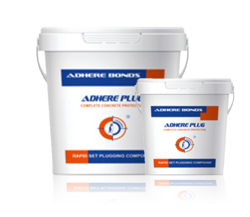 Adhere Plug (Rapid Setting Plugging Compound) is supplied as a ready to use a blend of dry powders which requires only the site addition of clean water to produce a highly consistent, rapid setting mortar which is easy to apply in many difficult conditions. The material is based on a blend of cements, graded aggregates, special fillers and chemical additives which control the rate of set and minimize the risk of thermal cracking. Bonding agents and repair mortars have a variety of uses.They help bond new concrete to old and can be a sealer for concrete floors. When mixed with sand, they make a great patching mortar or machinery base plate grout. 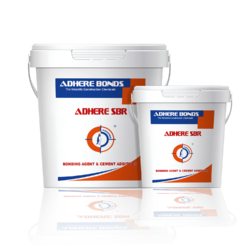 Adhere SBR (bonding agent & cement additives) is styrene butadiene rubber latex which has been specifically designed for use with cement compositions. It can be used as bonding coats, prior to application of renders, plasters or screeds. 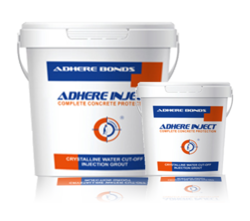 Adhere sbr provides excellent adhesion between old and new concrete and hence ensures a monolithic system after repair. Crystalline Water Cut Off Injection Grout offered provide usage as solvent-free single component hydrophobic polyurethane water cut-off grout.